Can you believe that there are actually people out there that hate this man? Fresh off his Super Bowl LIII win on Sunday, Tom Brady spent his Thursday morning shaving his beard off to support local New England charities. 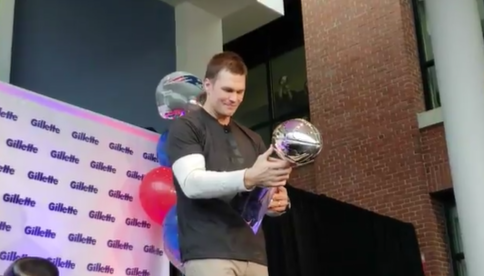 Brady appeared at Gillette World Shaving Headquarters in South Boston this morning. The following charities were taken care of through Brady’s good deed. Tom Brady is the GOAT on and off the field. $35,000 will be donated to the Boys & Girls Clubs of Boston. $35,000 will be donated to Best Buddies. $35,000 will be donated to Dana-Farber.